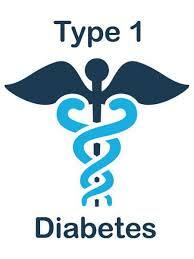 Type-1 Diabetes is an autoimmune disorder which destroys insulin producing beta cells within the pancreas. While insulin injections can help to control blood sugar levels, but the treatment cannot prevent complications of the disease, including kidney damage, nerve pain and damage to blood vessels in the eyes that can lead to blindness. But the transplantation of complete pancreas can potentially cure type 1 diabetes, these options are rarely existing due to the lack of suitable pancreas donors and the toxic effects of anti-rejection drugs that are required after a transplant. It is cured with replacement of the lost beta cell through the implantation of immune isolated microencapsulated islets referred to as the bioartificial pancreas. Researchers are been working for years to develop a bioartificial pancreas in the laboratory to help the millions of people who are suffering with type 1 diabetes. A major requirement to achieve this goal is to deal with the oxygen needs of islet cells. Islets are highly active and require a larger amount of oxygen for regular function. During the process of isolation, oxygen supply is disrupted, and a large amount of islet cells are lost due to extended hypoxia, thus creating a major difficulty to clinical success with this treatment. In this work, scientists have investigated the oxygen generating compounds, such as sodium percarbonate (SPO) and calcium peroxide (CPO) as potential supplemental oxygen sources for islets during isolation and encapsulation before and immediately after transplantation. First, sodium percarbonate particles were used as an oxygen source for islets during isolation. Secondly, silicone films containing sodium percarbonate were used to provide supplemental oxygen to islets for up to 4 days in culture. At last, calcium peroxide was used as an oxygen source for encapsulated cells by co-encapsulating calcium peroxide particles with islets in selective alginate microspheres. Present studies provide an important evidence of thought for the consumption of these oxygen generating materials to prevent beta cell death caused by hypoxia.